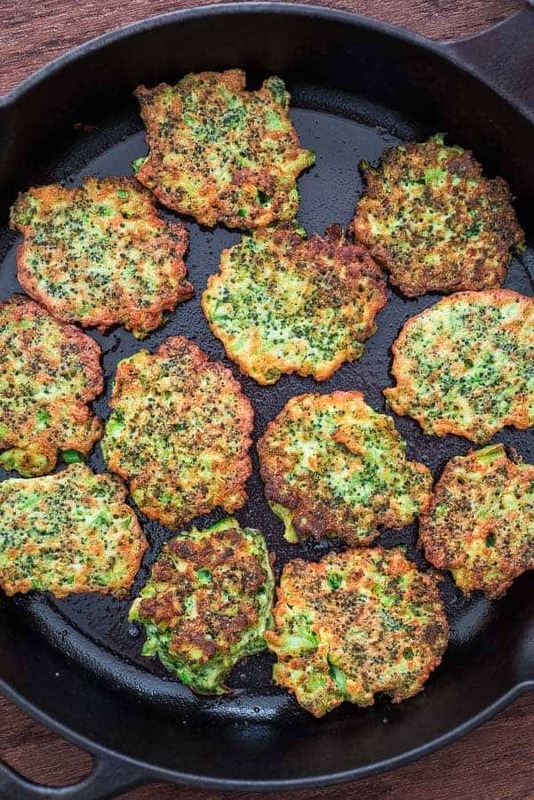 These light, golden-brown Broccoli Fritters make a delicious vegetarian dinner or lunch — and kids love them, too! Ready in less than 30 minutes. 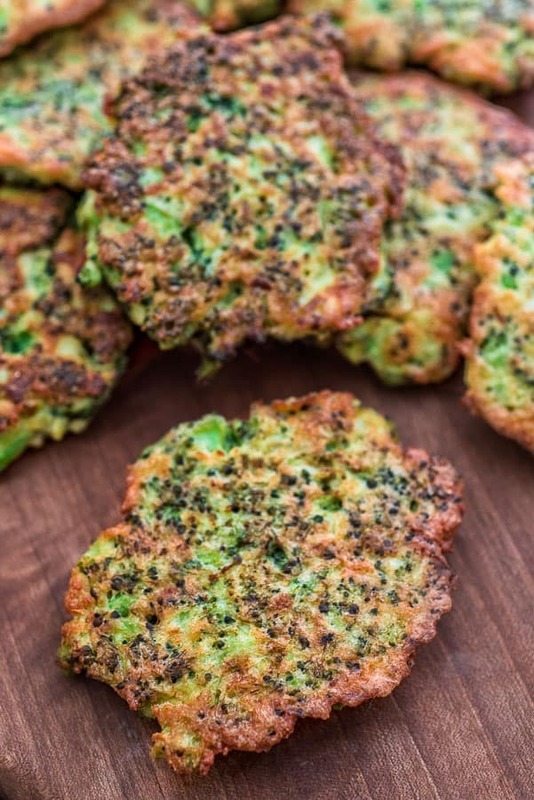 These Basic Broccoli Fritters are one of my favorite ways to enjoy broccoli. 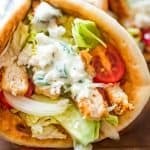 Tasty, tender, and healthy, they pair perfectly with a cool dollop of sour cream or yogurt to make a filling vegetarian meal. 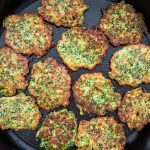 I also love that these Broccoli Fritters require only five simple ingredients and are very easy to make. 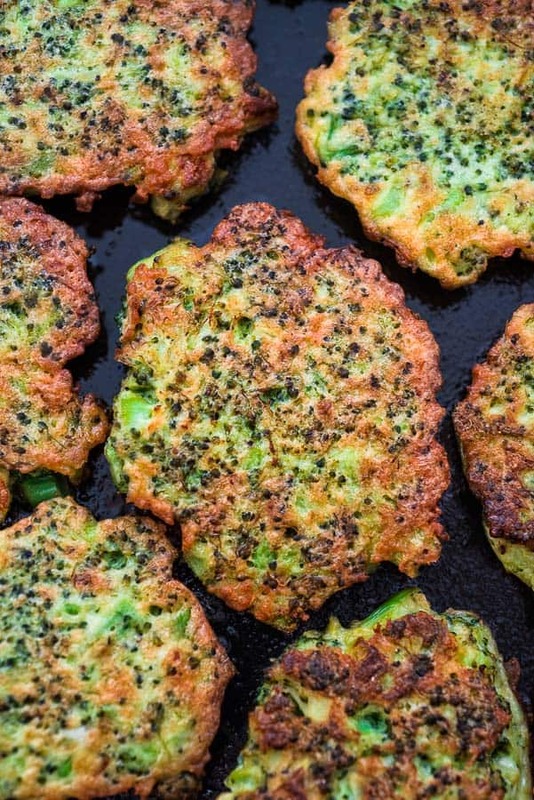 These Broccoli Fritters can be fried or baked. Both options are great, and yield great results. I personally choose to fry when I am in a rush, and bake when I know my 2-year-old is going to eat them. Of course, frying will give the fritters a bit better crust, but that will require using more oil and it’ll make them a little less healthy. 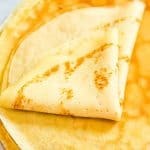 If you do choose to bake these, remember to preheat the oven as well as a skillet (or baking dish), so they don’t stick. I like to use my cast iron skillet for both baking and frying. Steam Broccoli in a Pot. Bring water to a boil in a medium-sized pot. Add a little salt to one pound of trimmed broccoli florets. Cook for about 5 minutes. Steam Broccoli in a Microwave. Place one pound of broccoli florets in a microwave-safe bowl and add 3 tablespoons of water on top. Cover the bowl with a microwave-safe lid or plate and cook on high power for 1 minute. Steam Broccoli in a Steamer Basket. Bring about an inch of water to a boil in the bottom of a pot, inside of which your steamer basket or insert fits. Put the broccoli florets in the steamer basket, set over the boiling water, cover, and steam for 5 minutes. 1. Bring a medium-sized pot of salted water to a boil. Add the broccoli florets and cook them just until they are fork-tender, about 5 minutes. 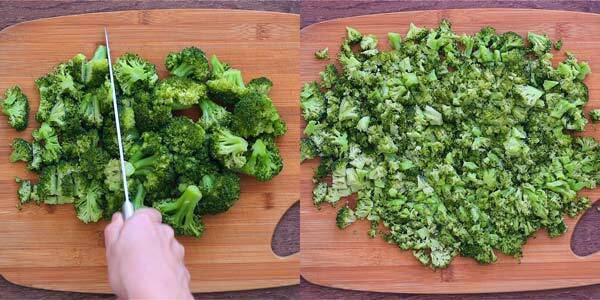 Drain the broccoli well and transfer them to a cutting board. Using a large, sharp knife, cut them into very small pieces. 2. 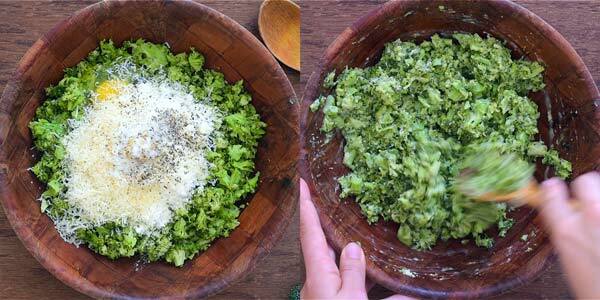 In a medium-sized bowl, combine the chopped broccoli, eggs, Parmesan, flour, and garlic. Season with salt and pepper to taste. Stir until well combined. 3. Place a cast iron or non-stick pan over medium heat until hot. Add the oil and swirl to coat the pan (a non-stick pan needs less oil). Scoop out 2- to 3-tablespoon mounds of the broccoli mixture into the pan, flattening the mounds slightly with a spatula and spacing them about one inch apart. 4. Cook the fritters for 2 to 3 minutes, flip them once, and cook them for an additional 1 to 2 minutes until they’re golden brown and cooked through. (*See recipe note below for baking instructions). 5. 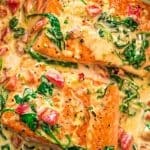 Serve warm with yogurt or sour cream. 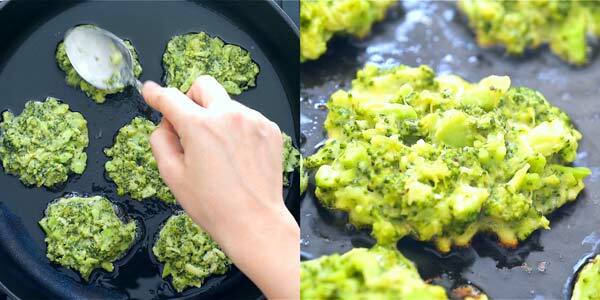 RECIPE NOTE: If you wish to bake these broccoli fritters instead, follow steps 1-3. Once you have arranged the fritters on the hot, oven-safe skillet, place them in the preheated to 425⁰F oven, and bake for 10-13 minutes. Bring a medium-sized pot of salted water to a boil. Add the broccoli florets and cook them just until they are fork-tender, about 5 minutes. Drain the broccoli well and transfer them to a cutting board. Using a large, sharp knife, cut them into very small pieces. In a medium-sized bowl, combine the chopped broccoli, eggs, Parmesan, flour, and garlic. Season with salt and pepper to taste. Stir until well combined. Place a cast iron or non-stick pan over medium heat until hot. Add the oil and swirl to coat the pan (a non-stick pan needs less oil). 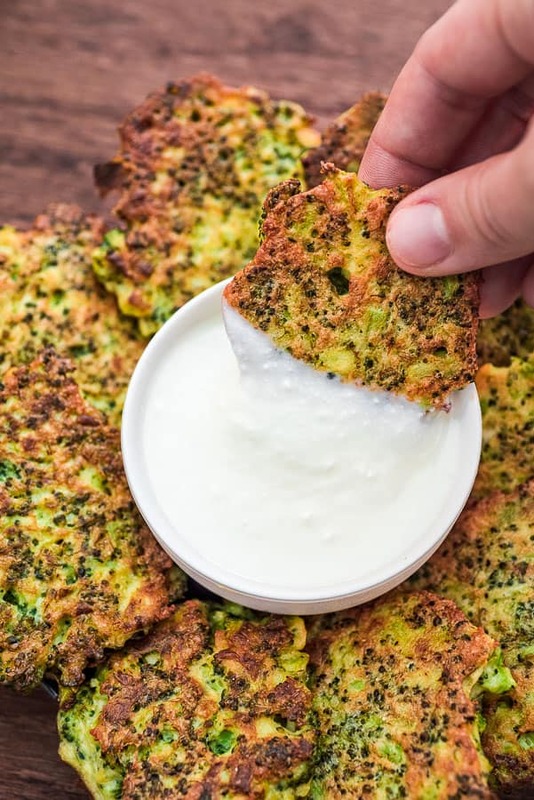 Scoop out 2- to 3-tablespoon mounds of the broccoli mixture into the pan, flattening the mounds slightly with a spatula and spacing them about one inch apart. Cook the fritters for 2 to 3 minutes, flip them once, and cook them for an additional 1 to 2 minutes until they’re golden brown and cooked through. (*See recipe note below for baking instructions). Serve warm with yogurt or sour cream. 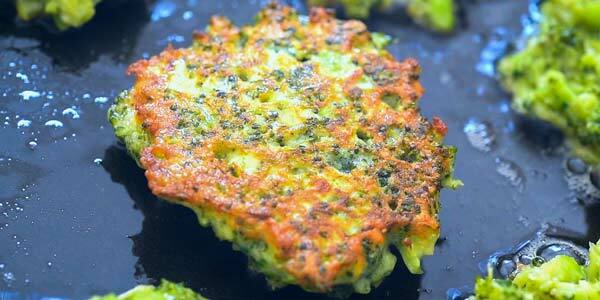 If you wish to bake these broccoli fritters instead, follow steps 1-3. 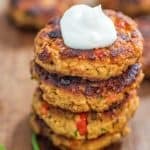 Once you have arranged the fritters on the hot, oven-safe skillet, place them in the preheated to 425⁰F oven, and bake for 10-13 minutes. I would love to make these they look great. But I need vegan. Any suggestions? Hi Kathleen! I am not sure if almond flour would hold the fritters well. If you do give it a try, let me know, so I can advise my future readers. Thanks! HI Tania, How many cups of chopped broccoli equal one pound of broccoli? I had cooked a bunch of broccoli for another recipe with lots left over so I’m wondering how many cups of chopped broccoli is needed for Broccoli Fritters. Hi Joanne! You’ll need about 2 tightly packed cups. Thanks! Thank you Tania. I’m making them tomorrow. I will definitely be making again. THANK YOU, JOANNE! I am so glad they turned out well for you! 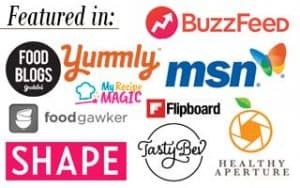 Hope you’ll try some of my other recipes. Best wishes! Do you know what would be a good substitute for parmesan cheese for dairy free people? Hi Teresa! 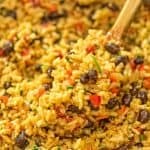 You can use any vegan cheese or skip it altogether! I just made these for dinner. They looked like your pictures and tasted absolutely amazing. I will definitely keep this recipe. Thank you so much, Mavis! I am glad you enjoyed the fritters! Fingers crossed, Mriv! Let me know if your son enjoyed them. My 2-year-old loves these fritters. Just made these! 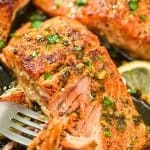 Super simple and so delish! Thanks for sharing! Thank you very much for the feedback, Krystal! I am so glad you enjoyed these! 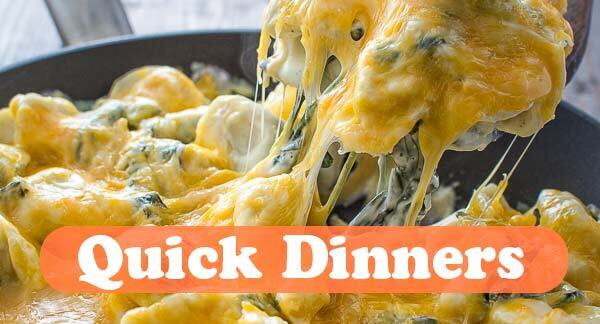 Delish and QUICK!! I added leftover potato mash and cheese béchamel, just because it was there, and a bit more flour. Fabulous cold/room temp!! Thank you so much for sharing, Inez! I am glad you enjoyed it! Thanks, Brian! 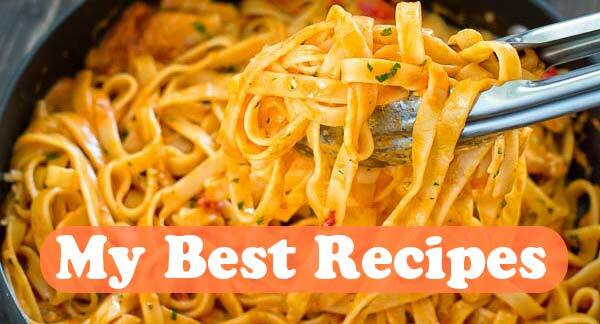 Hope you’ll give this recipe a try!